Elissa Sangster serves as CEO of Forté and brings to the role extensive knowledge of issues affecting women's abilities to seek, prepare for and attain business leadership positions, drawn from her prior experience as Assistant Dean and Director of the MBA Program at the McCombs School of Business at the University of Texas at Austin. There she oversaw all activities related to the full-time McCombs MBA program including marketing, admissions, student services, and alumni relations. Before McCombs, Elissa was Assistant Director of the MBA Program at Texas A&M University’s Mays School of Business. Elissa currently serves as Treasurer and Board Member for the Thirty Percent Coalition. She also sits on the Women’s Initiative Council of the CFP Board (Certified Financial Planning Board). She is past Chair of the Graduate Management Admission Council (GMAC) Annual Industry Conference and formerly served as chair of MBA Student Services Professionals (MBA SSP). Elissa sits on the board of Forté as an ex-officio member. She enjoys reading, running, cooking, and Aggie football. She lives in San Antonio with her husband, Jeremy, and their daughter, Anna Leigh. Elissa received her MBA and her B.A. in English from Texas A&M University. 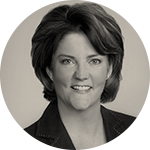 Denise has an extensive background in Human Resources with over 20 years experience in leading firms including Philip Morris (now Altria), Citigroup, and Deutsche Bank. For over 10 years, Denise has focused on Diversity and Inclusion, starting the first Diversity function at Citibank and managing Diversity in the Americas for Deutsche Bank. Her expertise includes developing and enhancing the effectiveness of Diversity programs and strategies, consulting with senior leaders to develop practical solutions to business issues, enhancing the effectiveness of employee resource groups, and implementing professional development programming for diverse populations. 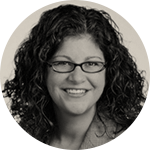 In addition, Denise has experience in HR Legal Compliance, Recruiting, Generalist and Employee Relations functions. She has a J.D. from New York Law School and a B.S. from Pace University. She lives in Harding Township, New Jersey with her husband Steve and Bichon Frise, Maddie. Mariska has 23 years of experience in marketing, management, programming, and business development with for-profit and non-profit organizations. Since 2001, Mariska has played a key role in the start-up and evolution of Forté. As Vice President of Marketing, Mariska drives growth in the areas of brand awareness, membership, engagement, and revenue support. In addition to marketing, Mariska served as Forté's first Corporate Relations Director helping companies recruit top female talent, and has led the development of signature Forté programs including the Financial Services FAST Track program, MBALaunch and Rising Stars. Prior to Forté, Mariska led the Women in Business Initiative at Michigan's Ross School of Business and also worked for 5 years with two different direct marketing agencies. Additionally, Mariska was a consultant to a variety of organizations including Zehno Cross Media Communications, the Graduate Management Admissions Council, and the Freeman School of Business at Tulane University. Her consulting work included strategic marketing, business development, account management, program development, and speaker recruitment. Amy is the Vice President of Programs at Forté, a role in which she exercises her passion for inspiring people by introducing them to new ideas and deep networks. Amy is constantly finding new ways to leverage and extend Forté's current, extensive programming to provide additional impact on women in college, pre-MBA, MBA, and professional audiences. 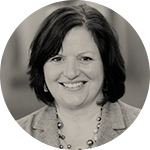 Prior to Forté, Amy was the Director of Professional Education and Training at the Graduate Management Admission Council (GMAC), managing a portfolio of onsite and online conferences, symposia and training events. Prior to that, Amy was the Director of the MBA Program Office and Student Services at the Wharton School, University of Pennsylvania. 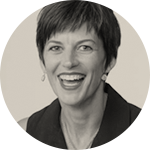 Throughout her career, Amy has also worked as an educational consultant, providing clients with program design and delivery, assessment and strategy input, and workshop facilitation and leadership program development. Amy holds a Master of Education from the University of Maryland, and a Master of Government and a B.A. in Communications from the University of Pennsylvania. She lives in Philadelphia with her human, canine, and feline daughters. See the latest press releases and articles featuring Forté's thought leadership in gender equality.